Brilliant young heldentenor Andrew Brunsdon completed his Graduate Diploma in Opera at the Sydney Conservatorium, with a high distinction in performance in 1996. As a baritone, he performed the roles of Speaker and Second Armed Man with Opera Australia’s OzOpera tour of The Magic Flute (1997) and Figaro in their tour of The Barber of Seville (1998). Other achievements included the roles of Paco for the Sydney Festival’s presentation of Manuel de Falla’s La Vida Breve (1997), Eumee for Australia Ensemble’s production of Penelope (1997), Cassandro in the Sydney Conservatorium’s production of La Finta Semplice (1996), the bass role in both Haydn’s Creation and Mozart’s Requiem with Willoughby Symphony Orchestra, the bass in Olivet to Calvery by Maunder and a solo recital of Schubert’s Schwanengesang. Mr Brunsdon was also a regular competitor in various scholarship competitions. In 1997 and 1998, he was named as a finalist in the Covent Garden Scholarship competition. In 1996 he reached the finals of the McDonald’s Aria Competition. In 2000, Mr Brunsdon sang Masetto in Opera Australia’s Don Giovanni for the Olympic Arts Festival and performed the role of Christus in Willoughby Symphony Orchestra’s St John’s Passion. He then successfully made the transition to the tenor register. Since 2001 his engagements include the role of The Celebrant in Bernstein’s Mass for the Intervarsity Choral Festival and the Adelaide Symphony Orchestra, the role of Siegmund in the Tiroler Festspiele production of Die Walküre in Austria. For State Opera of South Australia he has sung Father Grenville in Dead Man Walking and Froh in Das Rheingold (recorded and subsequently released by Melba Recordings). His roles for Opera Australia also included Anthony Hope in Opera Australia’s new production of Sweeney Todd, Strephon in Iolanthe, Mercury in Orpheus in the Underworld, Narraboth in Salome, The Steersman in The Flying Dutchman, Danilo in Merry Widow and Tenor Soloist in Beethoven’s Symphony No.9. In 2005, Andrew Brunsdon sang Alfred in Die Fledermaus, Tybalt in Romeo et Juliette and Ralph Rackstraw in HMS Pinafore for Opera Australia and Siegmund for the Tiroler Festspiele. In 2006, he appeared in La Traviata, The Magic Flute, The Gondoliers and The Pirates of Penzance—all for Opera Australia—and appeared as soloist with the Melbourne Symphony Orchestra. 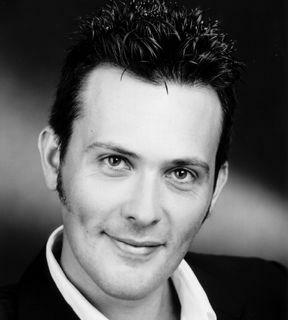 He returned to OA in 2007 for principal roles in Pirates, Tannhäuser and A Streetcar Named Desire. In 2008, Andrew Brunsdon performed Rodrigo in Otello for OA and appeared in Mendelssohn’s St Paul in concert with the Queensland Orchestra.